The weather man was kind to us this past week giving us a day of rain, nothing to write home about but a welcome change of pace. Showers on Monday and on Wednesday gave our rivers a small but much needed boost. Some beats fished well while others weren't as productive, its not a normal season, we`re having to adjust and change our game. I must say our guides are working hard and doing a great job. Cooler water temperatures combined with big tides by weeks end should help get our fall run going. 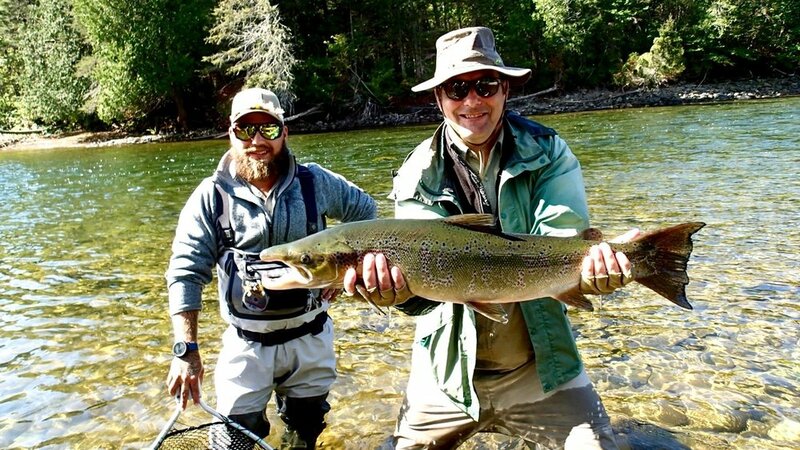 This was Greg Pike's first Atlantic Salmon, congratulations Greg, Well done.! 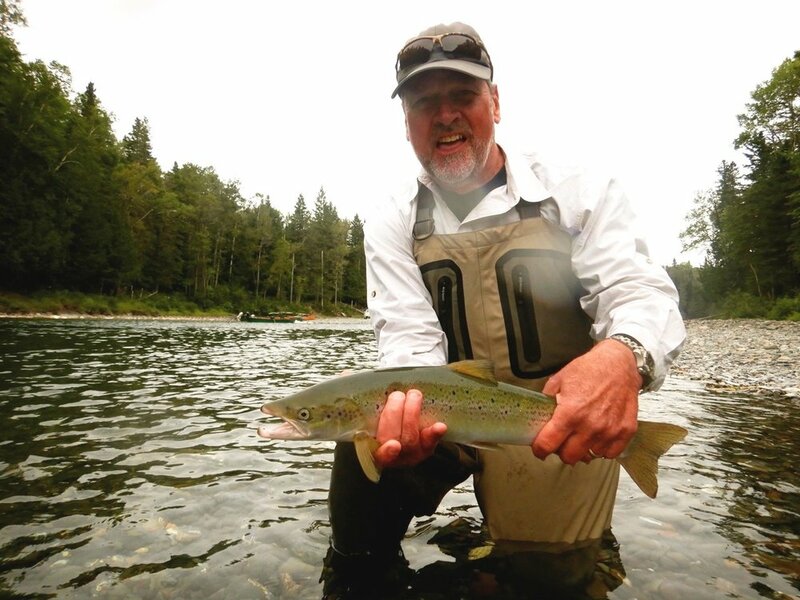 Don Michel landed this nice grilse on the Bonaventure, congratulations Don! Jim Palmer with a nice one on the Grand Cascapedia, well done Jim, see you next year!